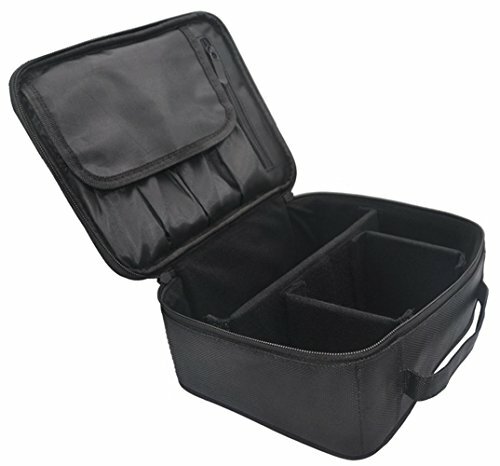 ✔ You can design yourself internal compartments by the adjustable padded dividers. ✔ Lightweight & Easy to Carry. Ideal for taking exactly what you need, anywhere, at any time. 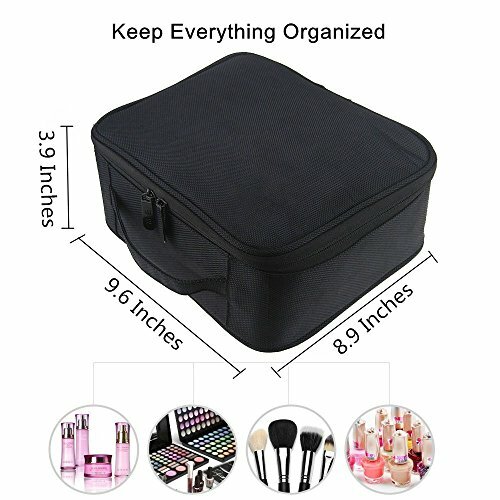 ✔ Fantastic solution to store jewelry, toiletry, makeup paraphernalia like lipstick, makeup brush, eye shadow, nail polish, eyeliners. All women’s essentials in one elegant case. 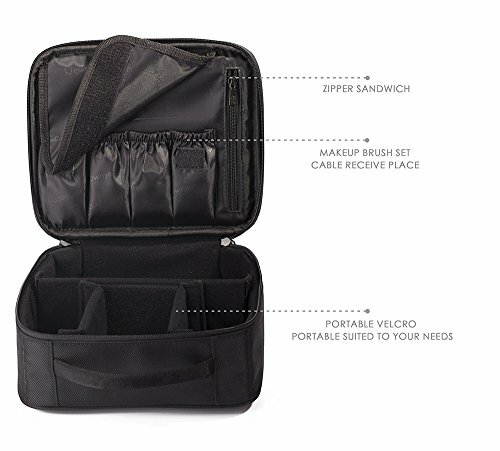 ✔ Detachable part and divided section to keep all the necessities neat and in order. ✔ Easy to Clean: Black Foamed oxford Insulate Lined for Easy Cleaning. Premium Quality: Easy to clean oxford fabric material. Padded inner layer protects against vibration breakage. Durable design with water proof, shake proof, anti-wear and spill-proof interiors for long use. 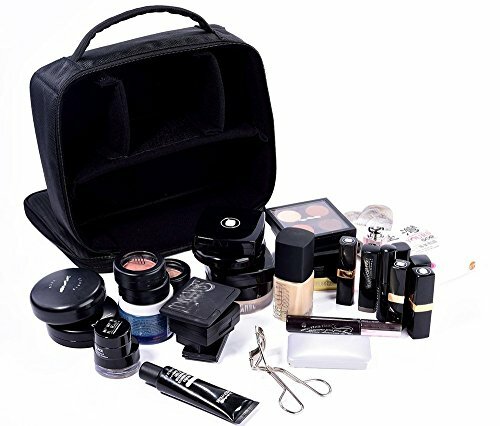 Keep Everything Organized: Provide ample space for women cosmetics makeup tools like lipstick, eye shadow, skincare products, nail art products, makeup brush set, jewelry, toiletry, travel accessories or men’s shaving kit. Multi-purpose: The sturdy top handle make it easy to carry this case wherever you go. 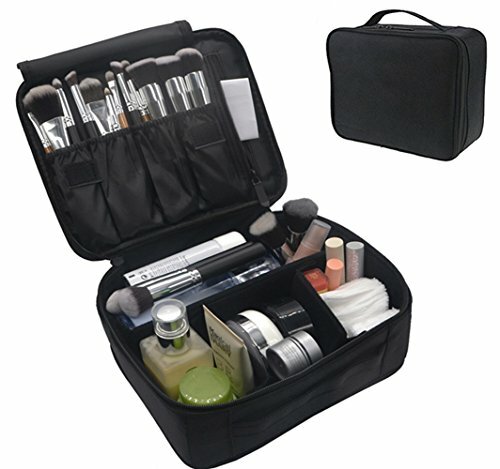 This is a great toiletry bag, makeup cosmetic bag, travel bag, also can be used as a camera bag. 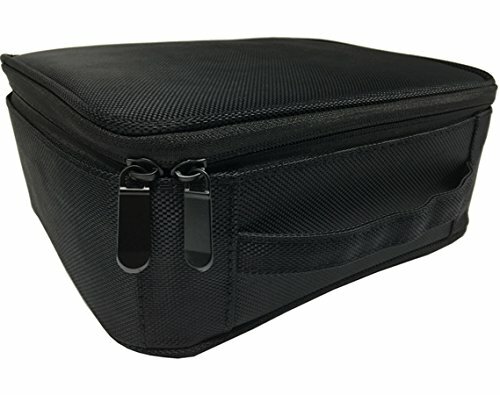 You can design yourself internal compartments by the adjustable padded dividers. Portable & Lightweight: Weighs about 0.75 pounds. Size: 9.6 X 8.9 X 3.9 Inches. 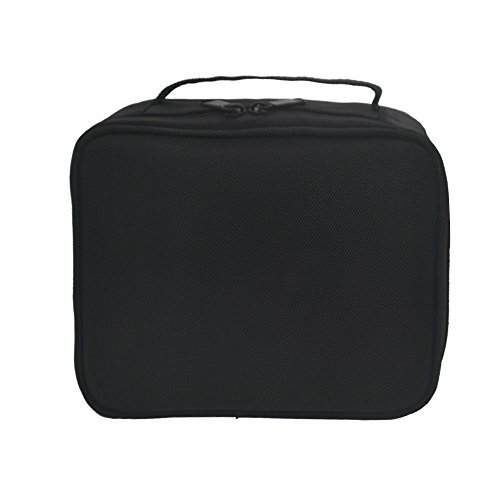 Great for traveling, business trip, working and home use. Double zipper design bring more convenient and safer. 100% Money Back Guarantee.